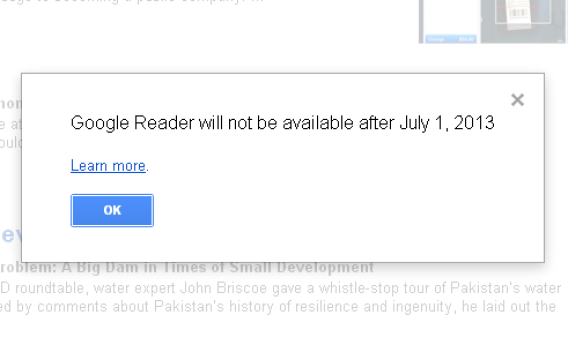 Google Reader shutting down July 1, 2013: Users weep. Tragedies happen every day in this crazy world, and journalists, jaded lot that they are, stare them down unflinchingly. Once every so many moons, however, there comes a crisis so devastating that even the most hardened souls simply shatter into pieces. This is all a dream this is all a dream this is all a dream. Well, at least we still have Google+?